This was the first time I've attended a charity event for myself - I pretty much always go to fundraisers around dogs (total animal lover). 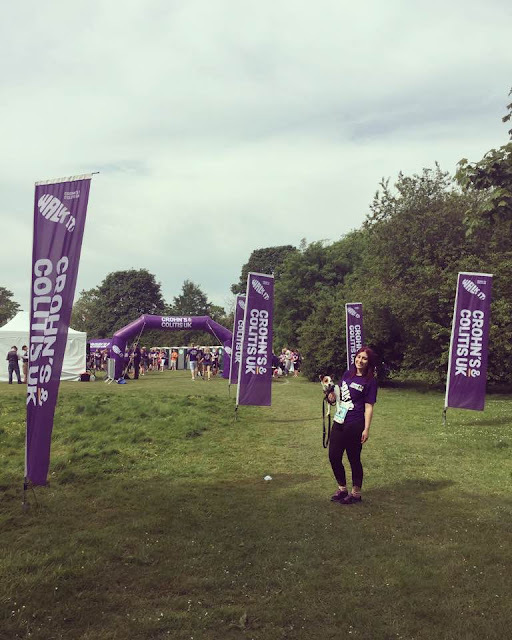 But after being diagnosed with Ulcerative Colitis in August 2016, I decided to do more for a charity that helped me so much, in my time of need. 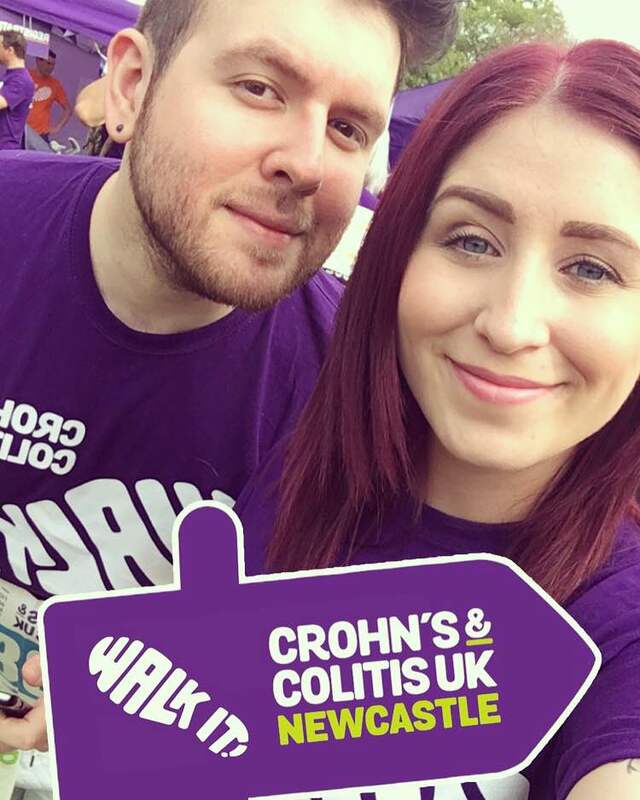 Crohn's and Colitis UK is the main charity helping the many families affected by these conditions around the UK. Ulcerative Colitis is one of the main forms of Inflammatory Bowel Disease, the other form that's also well known is Crohn's Disease. 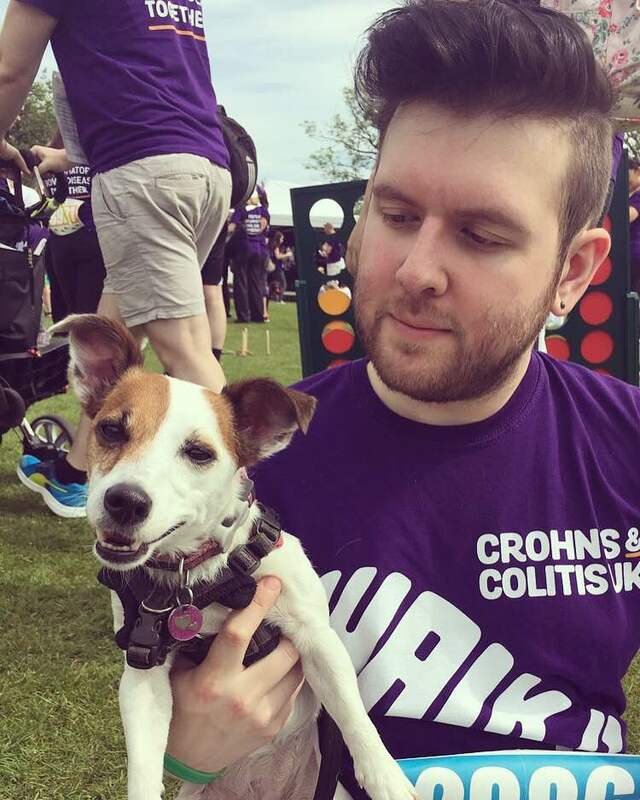 IBD is a lifelong auto-immune disease (not to be confused with IBS), where your gut essentially attacks itself - it's quite painful, draining and overwhelming, but thankfully people can have their condition controlled by medication, or surgery. It's a somewhat "invisable" illness, as there are lots of days where I appear absolutely fine, and then it just hits me like a tonne of bricks. People don't necessarily realise how much it affects my day to day life. Mostly, I choose to publicly display positive things in my life on social media.. rather than the amount of blood I've seen in the toilet that day. Yeah it's gross, but that's my life now. 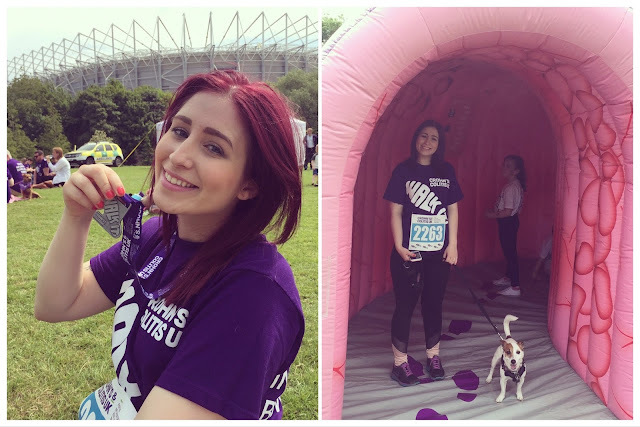 From what I have heard it's also the first time Crohn's and Colitis UK have hosted one of their fundraising events in Newcastle, my hometown. As soon as I knew it was happening, I HAD to attend. My boyfriend, Eric, was super keen to get involved too. He's been supportive and there for me through all my tests, hospital appointments and diagnosis. I set up a Just Giving page straight away and started sharing it around. All our friends and family started donating and we're so grateful for their support. The day itself was perfect. We put our purple C&C tee's on and got Daisy the JRT ready to come along with us. The weather was far too hot for walking around a very bustling city center, and we were dripping by the end of it. But we had fun all the same. I particularly liked the addition of the large inflatable colon! When we finished we got cheered by the C&C team and given out medals and a bottle of water each. It was brilliant for kids, with floor games, face painting, stalls and of course more than enough port-a-loos considering the illnesses it was aimed at! Well done guys! We relaxed on the grass afterward, seeing people finish, watching proud faces, children enjoying the inflatable colon and Daisy loving all the people attention for being cute. We continued to get donations after the event too, and we managed to raise £135 ourselves. I keep checking the C&C fundraiser page, and as I write this it stands at a whopping £253,542. They still have some more events around the UK coming up, so if there is a one nearby, get yourself involved. It's a great family day out for a great cause! As someone who is personally affected by these illnesses; I know how much the charity need these donations to carry on their awesome work for raising awareness, funding research and supporting those affected. Thank you to Crohn's and Colitis for involving Newcastle in the event, I know Eric, Daisy and I thoroughly enjoyed it. And a HUGE thanks to my friends and family for their support and kindness... Same again next year, right? Ah I'm sorry to hear your husband also has the disease! 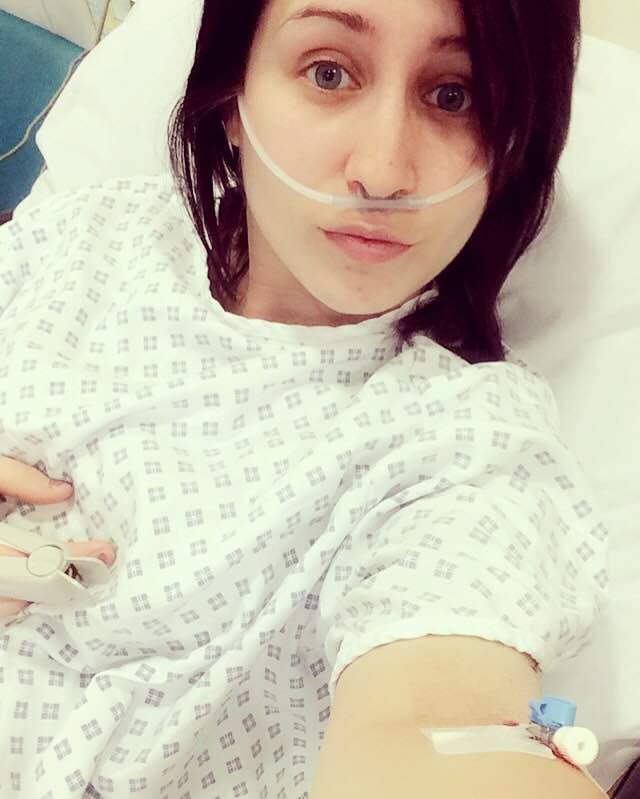 Thank you very much :) I plan on writing more blogs like this to raise awareness because I had no idea what these were before my diagnosis and I find not many people know what they are now I do have it!